(image) Among many other things (we usually add 20-30 items into our book’s Evernote account each week), this past week we read about developments in brain-computer interfaces, and how connecting smart devices introduces new vulnerabilities. We also read about how policy and ethics questions need to catch up with technology that makes surveillance easier. If you want to keep up with what we’re reading/thinking about on a weekly basis, the best way is to subscribe to the “else” feed, either as an email newsletter or through RSS. 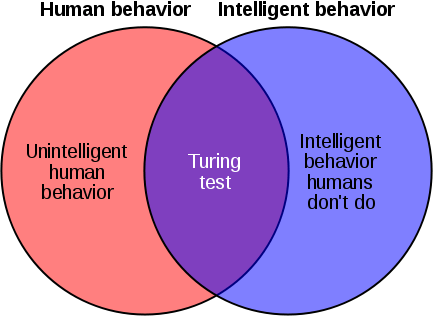 Hector Levesque makes the case to replace Turing tests with something that requires a little more common sense: anaphoras where the reference isn’t always linguistically clear. That requires logical finesse, rather than big data processing of existing answers found in webpages. We’re getting closer and closer to wearable brain-computer interfaces. Ryan Calo’s recent paper makes the case that what is really at stake in the “creepiness” of advertising is the ability for corporations to take advantage of and exploit data around consumer irrationalities (in the behavioral economics sense). Connected devices introduce more vulnerabilities. Ease of use, in this case the ability to add more devices to control lights, often trumps more secure designs. Interesting profile of Alex Karp, the man behind Palantir, the software running the data mining analytics of the NSA. Om Malik talks with Zimmerman about the need for policy to catch up to reflect our democratic values when Moore’s law makes surveillance easier. News of the Prism and surveillance might actually be the spark that gets average consumers to start engaging with their privacy settings. After two secure email servers shut down this last week, enter Bitmessage. It uses Bitcoin protocols to secure messages so that only users with the correct key can read them. There are no central servers, no users lists. Walks through what it takes for an estate to access the status updates and tweets of writers when they die, the modern day equivalent of letters archived in an attic. Current EULA policies don’t make it easy. Next Next post: Is US Culture Veering Toward The Dark and Deadpan?